Once again, the festive season is coming. This is the special time to rejoice in the accompany of your beloved ones and friends. It is the time to celebrate the holiday season. Christmas and New Year 2019 atmosphere is just around the corner. On this special occasion, we invite you to enjoy with us of dinning and celebrations throughout the hotel. On this occasion, Hotel Majestic Saigon would like express our sincere gratitude for your patronage and support throughout the year. We wish you and your loved ones a very merry Christmas and a happy Year New 2018 with happiness and prosperity. Christmas Roasted Turkey is prepared by our Executive Chef and served with vegetable stuffings and 3 kinds of sauce. This will surely enhance your taste to the new exciting level. Christmas is just around the corner. Let us complete your festive experience with our miraculous Gala hosted especially for you. Invite your family, friends and loved ones to share the joyful and memorable moments with you at Hotel Majestic Saigon. Special offers for tickets purchasing before 15th December 2018. Limited seats for M.Bar only. Being surrounded by loved ones and enjoy the last meal of the year on New Year’s Eve at Hotel Majestic Saigon with our exclusive buffet dinner featuring delicious cuisine, complimentary wines, beers, live music performance, lucky draws and countdown. Special offers for tickets purchasing before 20th December 2018. Special offers for tickets purchasing before 25th January, 2019. We are approaching the end of 2018 and it is the time to start planning your Year End Events, Christmas, New Year Party or even the corporate events… A meaningful party is a great way to say thank you to your staff for all their hard work or to celebrate the Festive Season with clients. Whether it’s Christmas Banquet or a Stylish Cocktail Party, we have a fabulous selection of venues and themes to make your end of year celebration a memorable one. At Hotel Majestic Saigon, we make the festive season special in many ways. There are 3 packages to select from: Silver Package/ Gold Package/ Diamond Package with the price range varies from 750.000đ net/person. MAJESTIC MOON CAKES 2018 - THE SWEET GIFT FROM HEART. 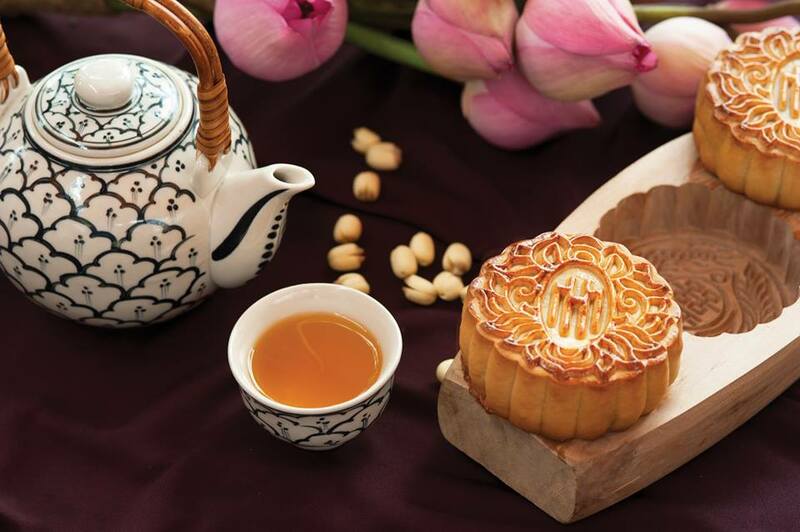 Traditional moon cakes are indispensable gifts in Mid – Autumn Festival, represent good wishes, sincere thanks to your beloved ones and let Hotel Majestic Saigon send out these messages for you. Thank you for choosing Hotel Majestic Saigon as your accommodation provider during your stay in Ho Chi Minh City. 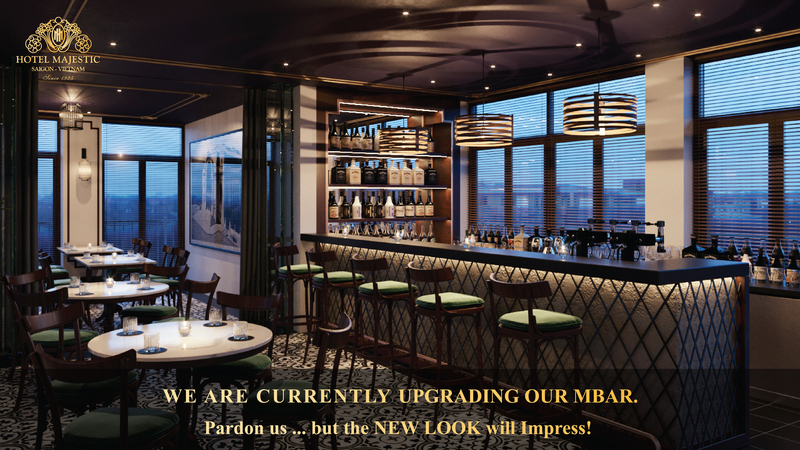 As part of our continued commitment to enhance our property and service, we are currently in the process of renovation the M.BAR (located on the 8th Floor) starting August, 2018 for approximately two months. During this period, you can enjoy F&B services (A la carte breakfast/ lunch/dinner and drinks) at our other F&B outlet: Panoramic River View BREEZE SKY BAR (located on the 5th Floor). Hotel Majestic Saigon continually strikes to be the best hotel in the city and we apologize for any inconvenience and appreciate your continued support during this time and through the renovation. If you have any concerns, please contact our Front desk by dialing number “0” (internal calls only) or call us at +84 28 38295 517.